By Melissa Lennig on January 22, 2019 Leave a Comment. This content contains affiliate links. As an Amazon Associate I earn from qualifying purchases. 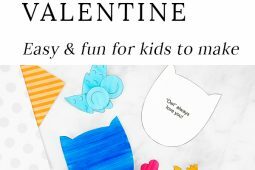 If you are looking for easy DIY Valentine’s Day crafts for kids, you’ve come to the right place! 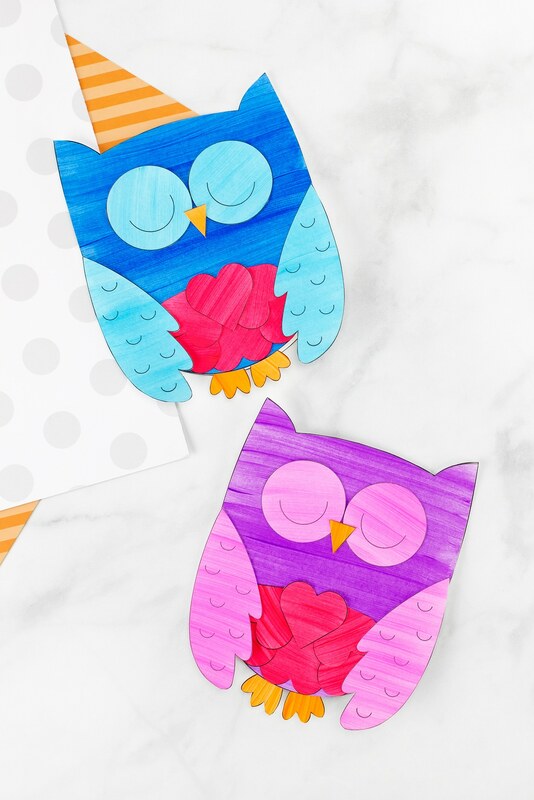 Our sweet Owl Valentine card is fun for kids to make for family and friends. 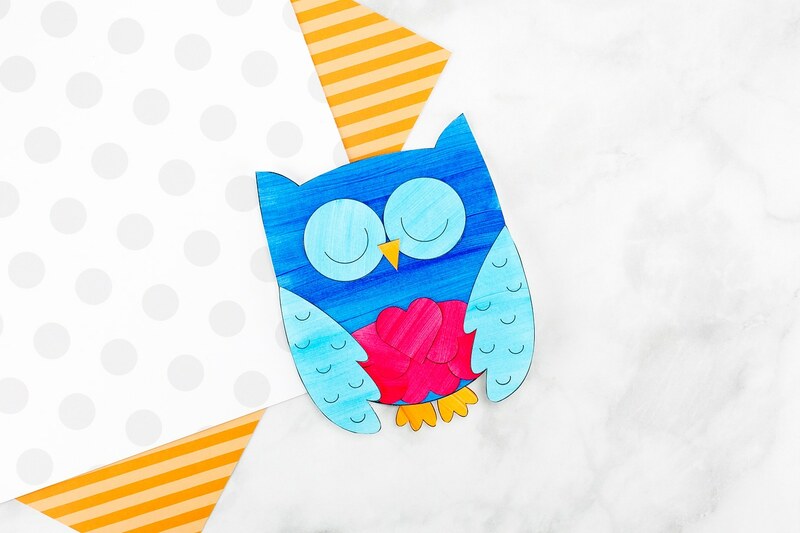 Created with paper hearts and our adorable owl template, this simple handmade Valentine’s Day card is the perfect paper craft for home or school. 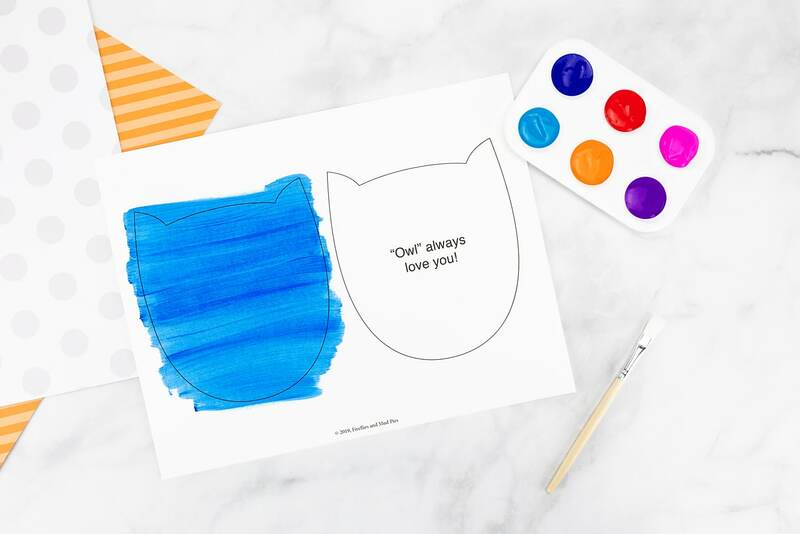 Our printable owl template makes creating an owl valentine card easy and fun! 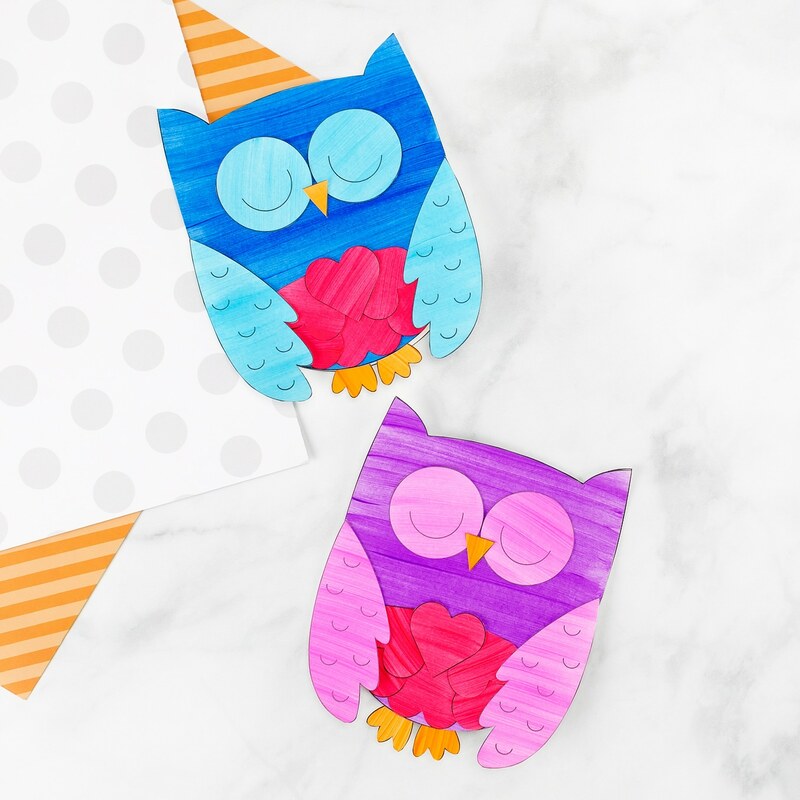 Kids of all ages will enjoy decorating their owl craft with bright paint. If desired, you can even invite your child to add a little sparkle to the owl’s heart belly or wings with glitter glue. 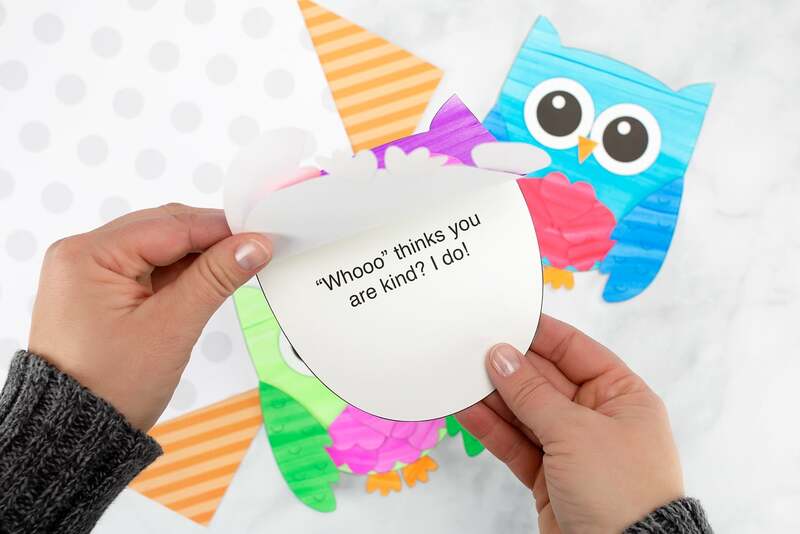 This owl valentine craft for kids is packed with funny owl valentine puns. From “‘Owl’ always love you,” to “I hope your Valentine’s Day is a hoot,” there is something for everyone! Shared below are more owl valentine sayings included in our printable template. “Whooo” loves you? I do! “Whooo” thinks you are kind? I do! “Whooo’s” the best? You are! “Owl” you need is love! 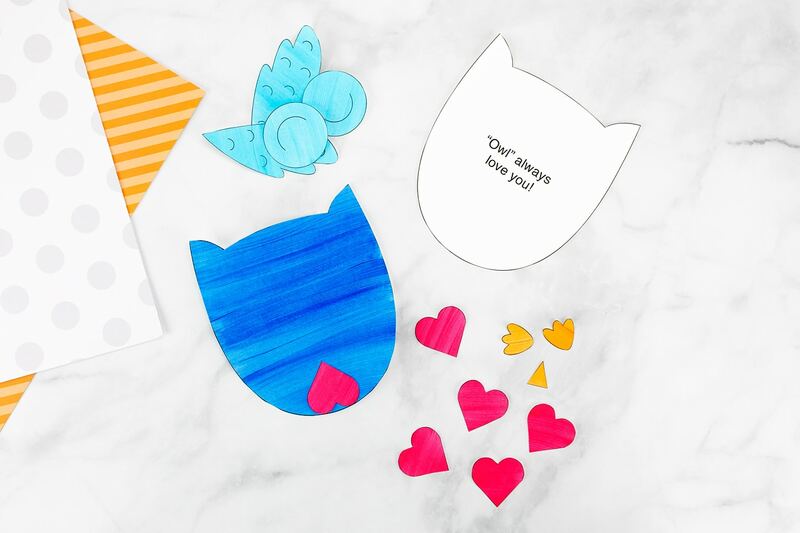 Created with paper hearts and our adorable owl template, this simple handmade Owl Valentine is perfect for home or school. Print the owl template on white cardstock. Invite your child to paint or color the owl pattern. When the paint is dry, invite your child to cut out the shapes with scissors. Next, kids can decorate their owls with painted hearts, eyes, beak, and wings. Last, glue the greeting card portion of the hedgehog craft to the back of the decorated part. Your Owl Valentine is complete! 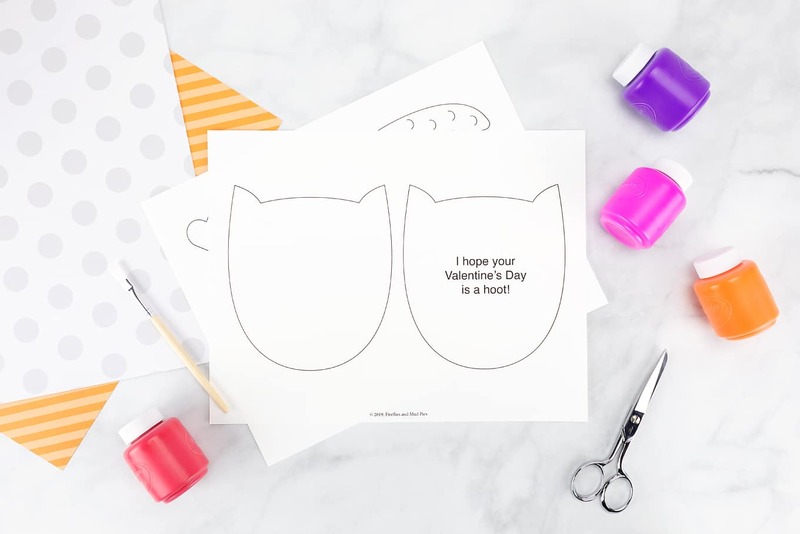 Use this owl template on a bag or box to create a cute owl valentine box for kids! It’s perfect for collecting Valentine’s Day cards at school parties. Print the owl template on white cardstock. There are several options for kids, including closed and open eyes. Some kids may choose to make a winking owl! Our template even includes a blank pattern, so kids can write their own personalized message. Invite your child to paint or color the owl pattern. We enjoyed using various shades of green, blue, pink, and purple. Tip: No paint? 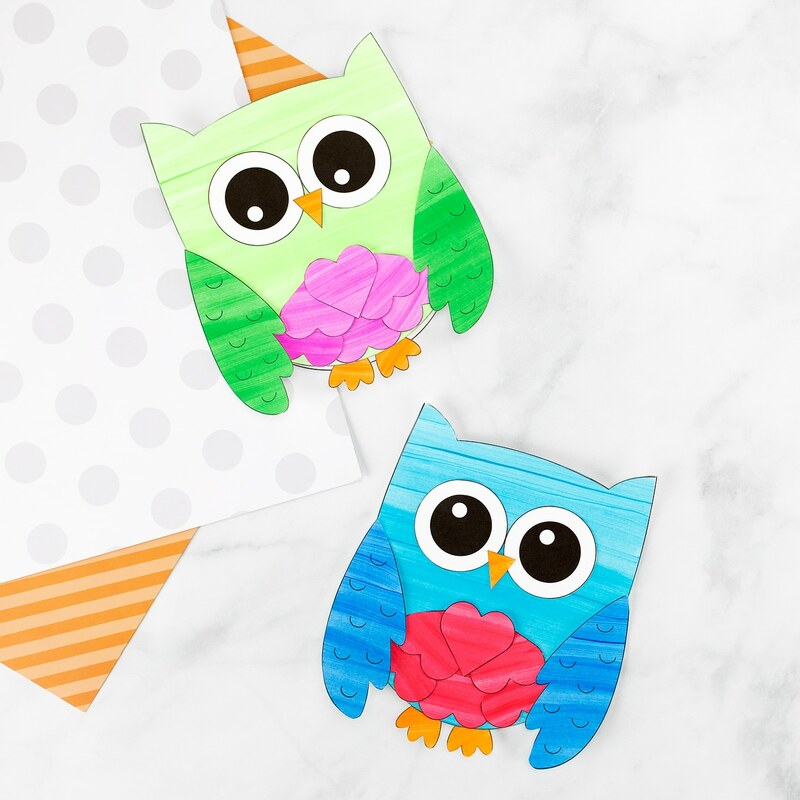 As a low-mess cut and glue alternative, invite kids to trace the owl pattern onto colored card stock or construction paper. Next, kids can decorate their owls with painted hearts, eyes, beak, and wings. If desired, kids can opt to use plastic wiggle eyes instead of the shapes from the template. Last, glue the greeting card portion of the owl craft to the back of the decorated part. When the glue dries, the card will open and close! 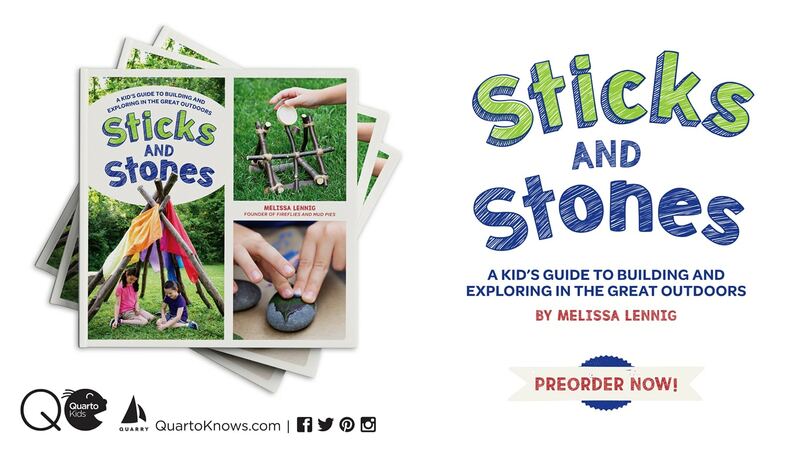 Kids can sign their name and write a personalized message inside. 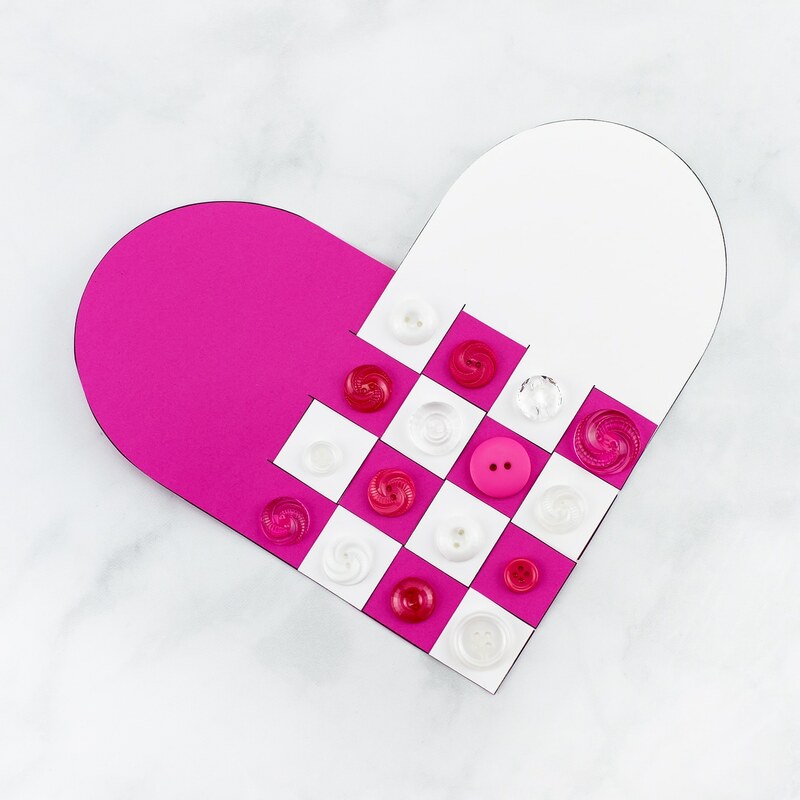 Kids of all ages will love this simple woven heart craft. 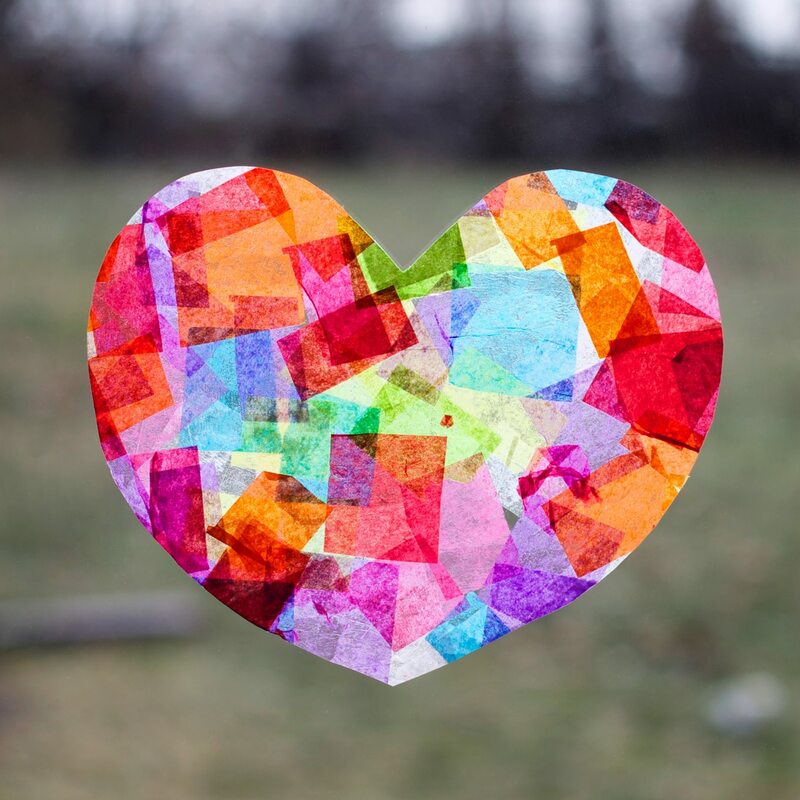 Brighten up dreary winter windows with this colorful rainbow heart suncatcher craft. 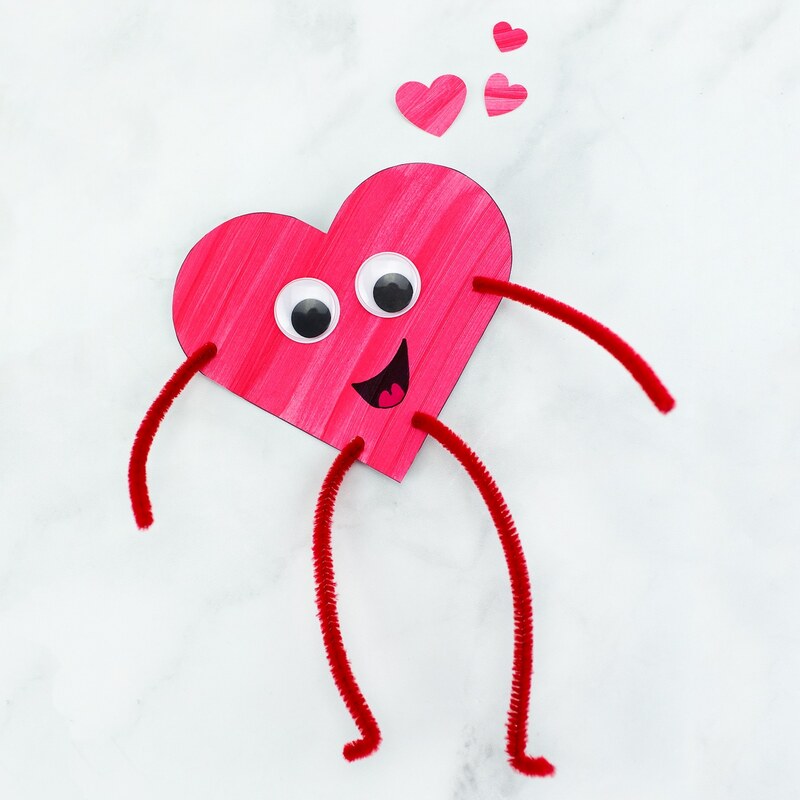 Easy and fun, our Heart Buddies Valentine’s Day craft is perfect for school parties!